7 Creative Baking Ideas to do in your Kitchen! Cakes, biscuits, pastries and pies…within the very heart of the country’s kitchen cupboards lie the backbone of the British household…baked goods. 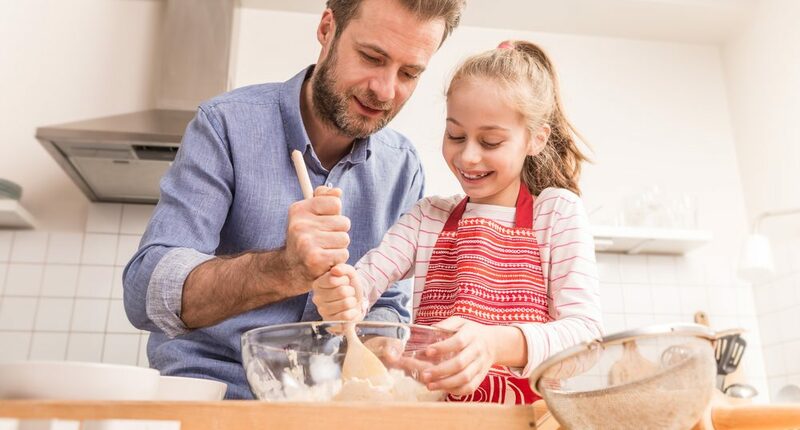 And thanks to the increased presence of ever popular baking shows such as The Great British Bake Off, more and more people are getting involved in creating their own homemade baked goods. As the world experiments with baking, its boundaries are constantly being stretched and explored, to allow innovative and exciting to be created every day. If you’re looking to spice up your baking with some inventive twists, look no further than this list to help get the creative juices flowing. There’s no doubt about it, morning’s are an extremely hectic part of the day, frequently passing by in a sleep deprived haze. With the blaring sound of the alarm clock ringing shrilly through the bedroom doors, at times the concept of indulging in a delicious leisurely breakfasts can seem nothing but a pipeline dream. So why not make those dreams a reality and shake up your mornings with some ‘breakfast pops’? Easy to make, portable and most importantly delicious, these ‘breakfast lollipops’ can allow you to make breakfast as simple or inventive as you’d like. 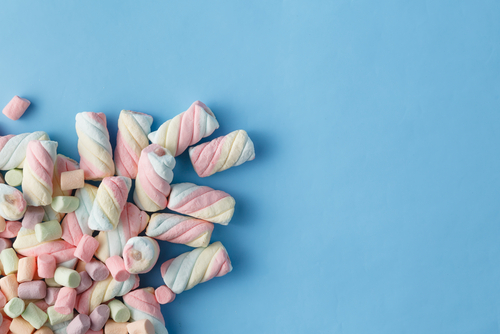 Compact and easy to store within your kitchen cupboards, breakfast pops can range from miniature pancakes, to frozen yogurts to ‘fruit kebabs’, meaning there’s no limit to what you can cook up. Looking for healthy yet tasty snacks can sometimes seem like an impossible task, and you may often find yourself having to compromise on either the taste or quality of your foods. However with the invention of the much coveted spirlalizer, comes the opportunity to bake yourself up some healthy goodies in no time at all. Why not try spiralizing yourself up some apple or pear slices? Sprinkle on some sugar and cinnamon, pop it in the oven and you’ll have yourself a delicious and nutritious snack in no time at all, perfect for satisfying those on the go munchies. When it comes to baking, often half the fun is in the decoration. However when it comes to baking biscuits, it can sometimes be incredibly easy to get stuck in a creative rut, constantly using the same biscuit cutters and mundane shapes over and over again. To counter this bland biscuit epidemic why not try experimenting with shape? For example if you’re looking to add some Spring themed fun to your kitchen, why not try shaping your biscuits into little duckling or rabbit footprints? Or you could try cutting out little bite sized mouth shapes to give the illusion of a bunny nibbled biscuit. Go crazy and try out some different designs to make your home baked biscuits really stand out from the crowd. So grab the icing sugar and get decorating – just be careful not to get those kitchen counters too messy! If you’re looking to bring your baking to life in one simple and easy step, then look no further than the humble cone. By adding a cone shaped feature to your creations, you’re instantly creating a fun edge to your baked goods that will make them stand out, as well as simultaneously devising a hand held feature that adds a portable element to your baking. 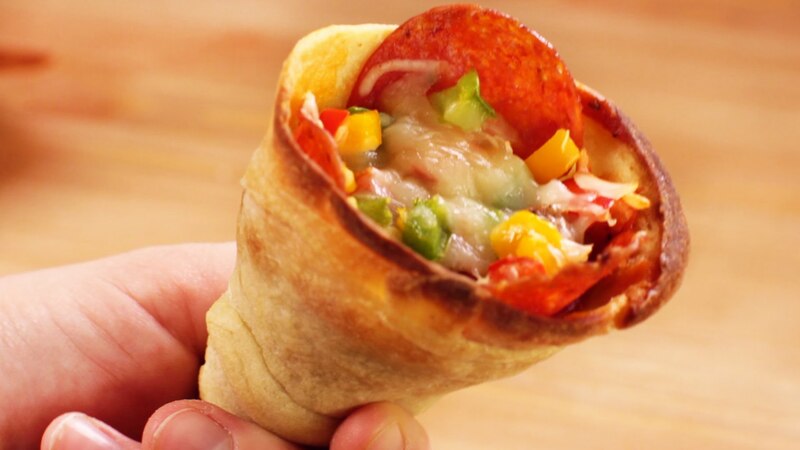 From pizza dough cones filled with cheese and toppings, to donut cones filled with jams, to pie based pastry cones stuffed with your favorite flavors, there’s no shortage of possibilities when it comes to using the cone to bring shape to your favourite foods. Messy is the new neat. Or at least that’s what trending cake designs seem to suggest. Marbled patterns, splattered icing, toppings spilling over the sides, mixed colours…these are just a few of the highly popular cake features that are popping up in bakeries around the world. To achieve your own shabby chic themed cake all you’ll need is a spoon and some creative flair. Dripping is a popular yet simple technique that will help your baking stand out from the crowd. Simply grab a teaspoon out from your kitchen drawer and carefully drizzle chocolate ganache, glazing or whatever topping you so choose onto the edges of your cake to give it that dripping effect. It’s sure to make a splash with your friends and family. With popular televised shows such as The Great British Bake Off and Creme de la Creme constantly filling our television screens with images of spectacular mouth watering masterpieces, it’s no wonder that the world has found itself constantly seeking to wow and shock when it comes to baking. If you’re looking to add that Mary Berry pizzazz to your creations, why not try creating the bowls and platters yourself? When baking up some crusty thick bread, try hollowing out some of the insides to fill with delicious delights. Or next time you’re whipping up some fruity flavoured mousse why not hollow out a pineapple or a watermelon to use as a tropical themed bowl? Not only will it look incredible, but just think of all the kitchen storage space you’ll be saving. Along with the rise in popularity of baking, also comes the rise in demand for innovative ideas, with people constantly seeking to put their own creative spin on beloved classic creations. And it was thanks to this way of thinking, that the Freakshake was born. Though it may sound like a fancy variant of a milkshake, do not be deceived, because the Freakshake is so much more than simply a milkshake. 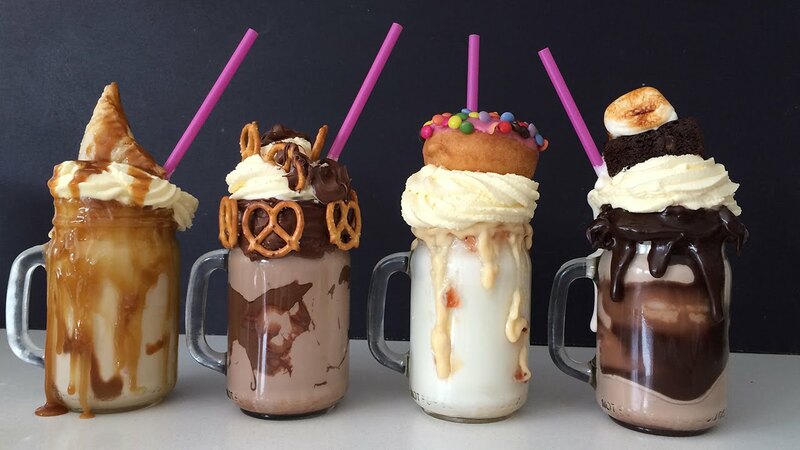 Laden down with all those tasty treats that you keep hidden in your kitchen cupboards such as biscuits, donuts, cookies and cakes; half the components of a Freakshake can actually be found outside of the glass, giving the term milkshake, a whole new definition. If you want to shake up your baking, why not combine your baked goods with a cooling milkshake to create a monumental feast that will not only look amazing, but will most definitely taste fantastic too. Next Article What Type of Bedroom Wardrobe is Right for You?